The project won a design award from the American Institute of Architects California Council. “This is an innovative project done really well, and a slam dunk,” said the jury. 820,000 sq. ft. / 76,200 sq. m.
The Cedars-Sinai Advanced Health Sciences Pavilion won an ENR California Best Projects Award of Merit. 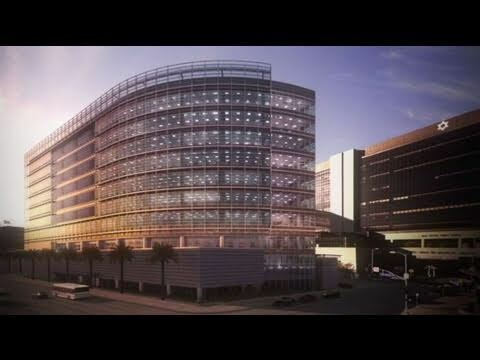 Take a look at how Cedars-Sinai Medical Center is building for Translational Medicine.